An Overview of the Wedding Services and Wedding Limousine Options that we have to offer. 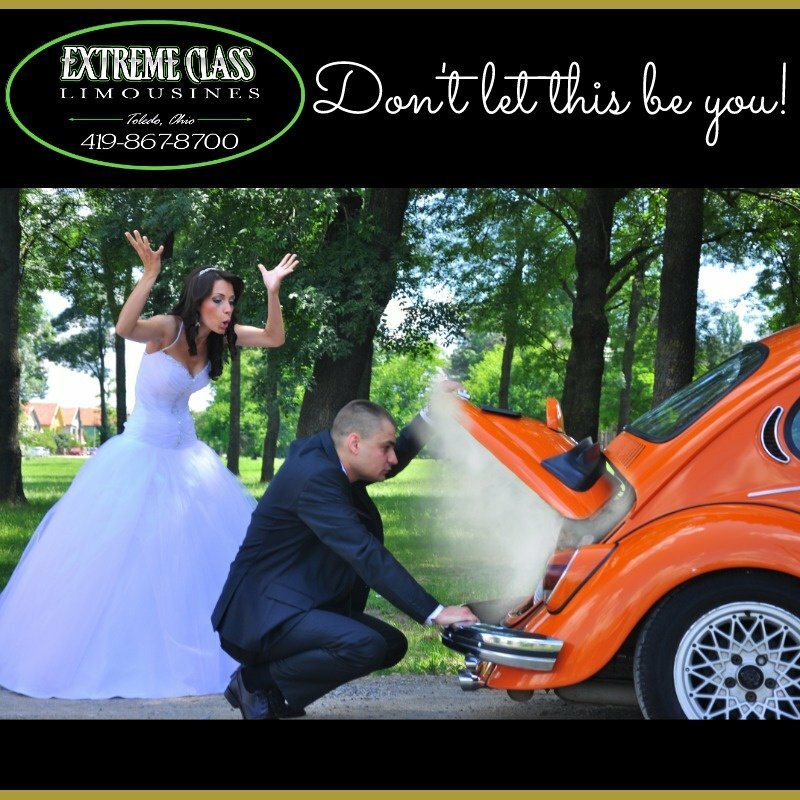 Extreme Class Limo is dedicated to making sure all your transportation needs are met. When looking for a company to reserve your wedding limousine with, we understand what you want and expect from a Toledo limo service. You will want a reliable limousine service that will make you, and your guests, feel as special as the day is going to be. You want to know it is a limousine rental company that offers you a professional service with a personal touch. Well good news, because you just found exactly what you were looking for. Here at Extreme Class Limo we make sure that every detail is covered, from the decorations inside of the vehicles, to the 'extreme class' your guests will be treated with. 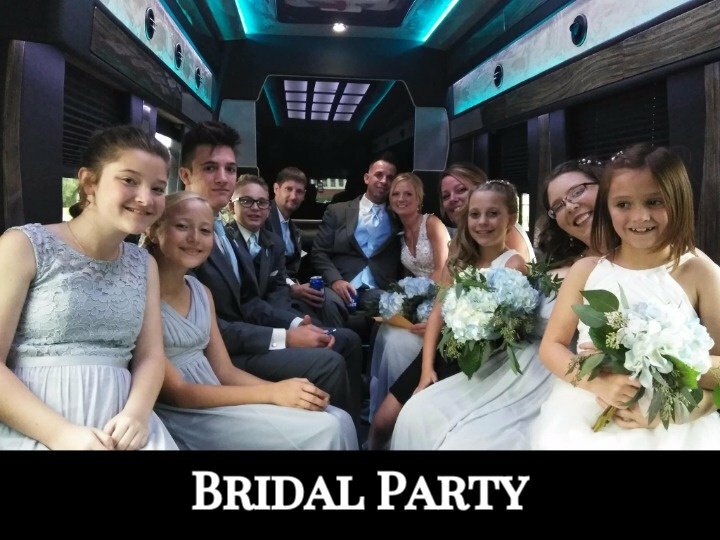 Offering everything from private sedans for grandparents, 10 - 12 passenger limousine vans for the wedding party, up to even an 18 passenger limousine party bus for your guests, we have a variety of vehicles to fit your needs and budget. You can always call us to discuss multi-vehicle packages as well. Want to make sure the entire wedding party stays on time and schedule? What about transportation for your guests between the service and the reception, or even back to a local hotel? Have you remembered, or even thought about these services to make 'Your Day' stress and hassle free? Well you don't need to worry, we can take care of it all. Contact us about our hourly options for sedans and limo vans, or our two - five hour wedding limousine and limo bus rentals. Extreme Class Limousines tries to have the best prices, packages, and wedding services to assist you with every aspect of your wedding day transportation needs. 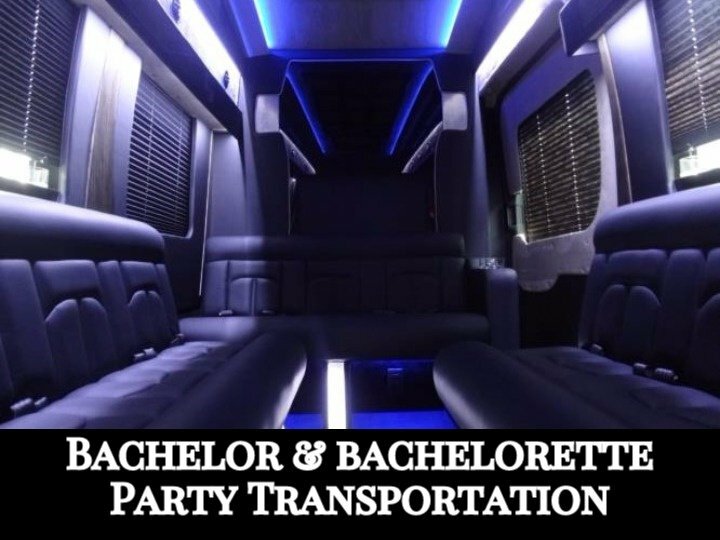 Our Party Bus or Limousine are great, not only for your wedding party or guest transportation the day of your service, but also the bachelor & bachelorette parties, rehearsals or other affiliated events. We offer our wedding limousine rentals and services throughout all of NW Ohio, but is not limited to the area. Understanding Toledo's close proximity to Michigan, we also offer our services to couples using vendors or venues across the state line, and vice versa. We are insured and licensed to go anywhere in the United States. So if you are planning a destination wedding we can take the entire bridal party anywhere that roads can go, and really make it an adventure! 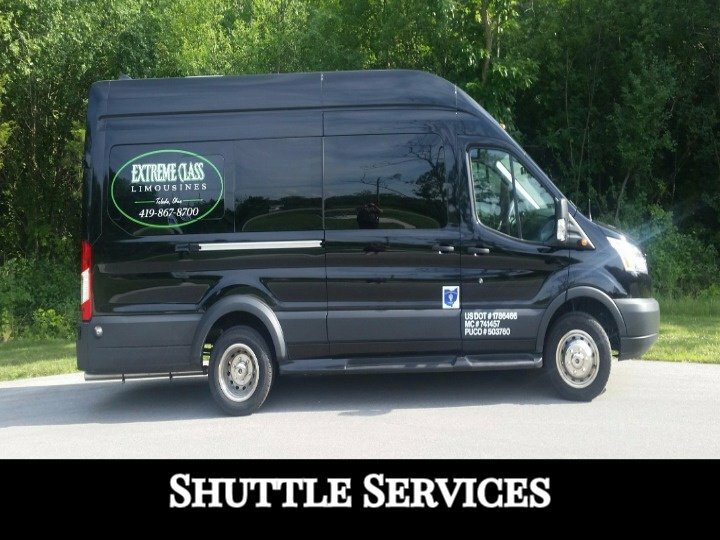 Remember, when you book a large vehicle package for you day of wedding services, make sure to tell your out of town guests about our airport shuttle services. This is a way to SAVE HUGE on your wedding services. Contact us to find out more information regarding how to save when your guests book round trip airport transfer transportation with us and use your wedding name reservation as a reference code. Ask us about some of the special features we can add to your wedding transportation! Some vehicles can feature a slideshow highlighting moments in the couples lives, or even just a movie that goes with the theme! Make sure to tell us your wedding colors too! We will try our best to match the napkin color in the vehicles to your wedding's colors. For wedding party limousine rentals, our large vehicles with come fully stocked with ice, water, glasses, and a pair of champagne flutes! We also offer a roll out red carpet (weather permitting) and magnetic 'Just Married' Signs for the Bride and Groom's vehicle. Remember You and your Guests can Afford to Arrive in Style! 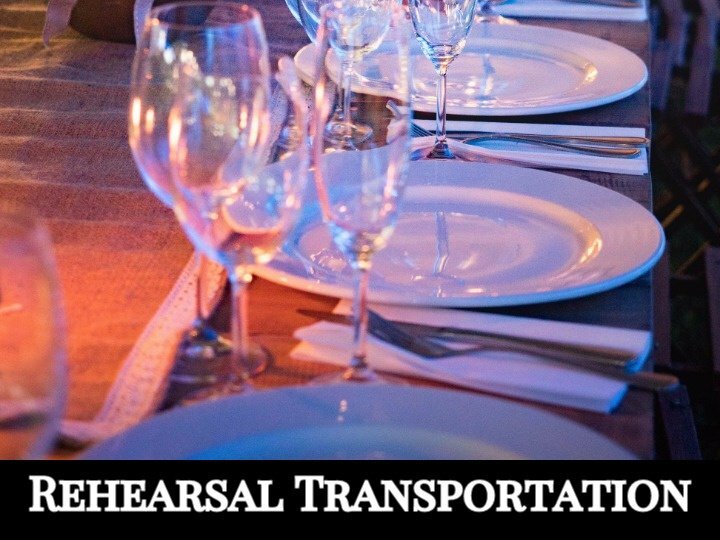 Door-to-Door service for rehearsal dinners & other related events. To make sure this doesn't happen to you, check out our page about the 'Most Common Mistakes Couples Make When Planning Their Wedding.' Make sure you are not making a common Wedding Transportation Mistake! When you book your Bachelor / Bachelorette Party & a large vehicle for your Wedding Day with us, you can SAVE even more! !